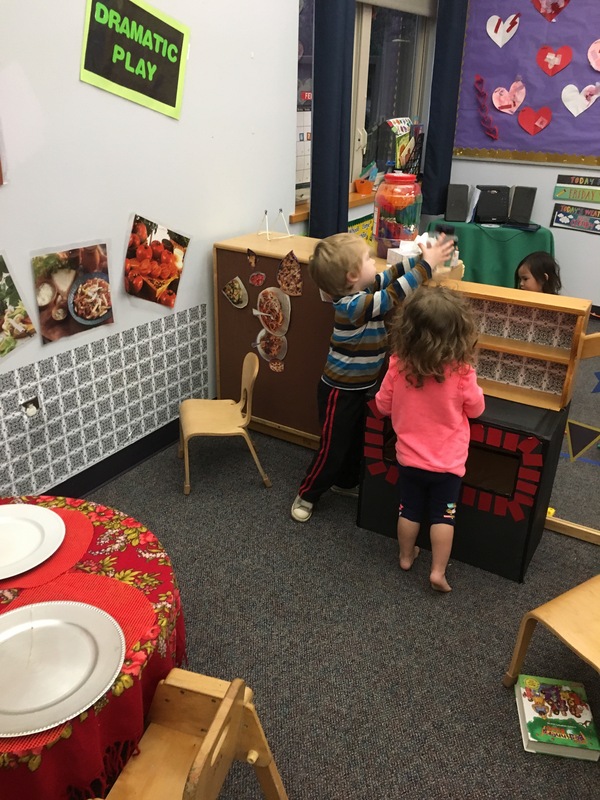 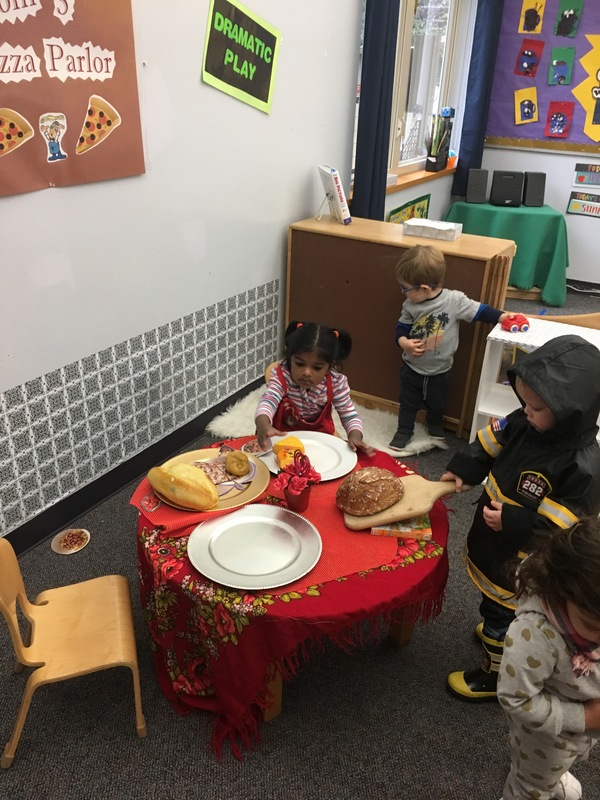 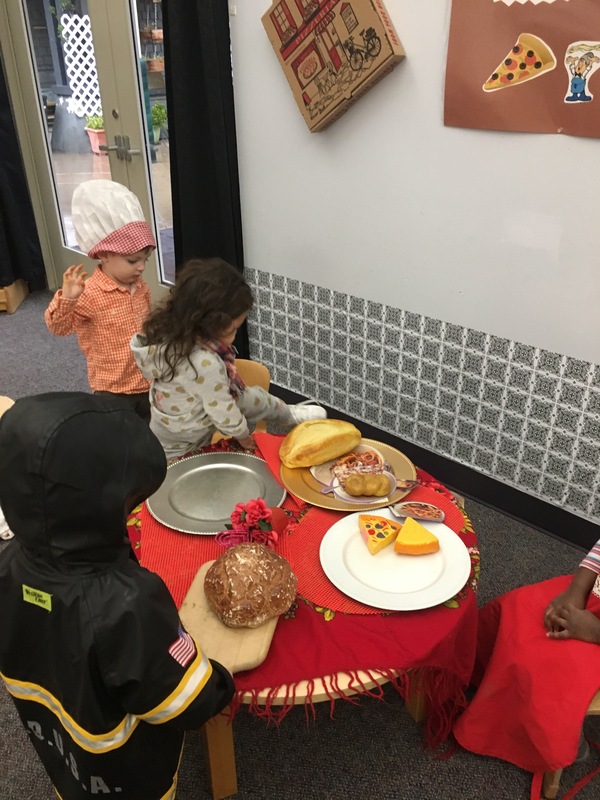 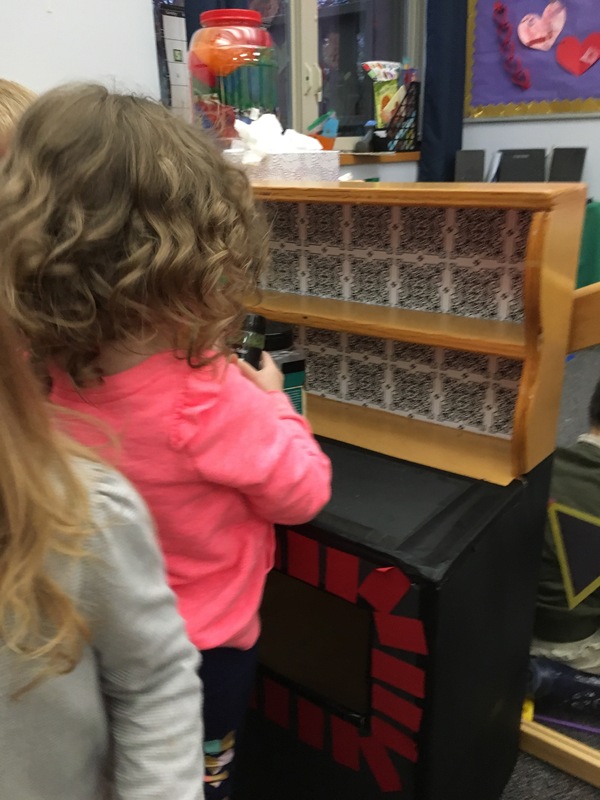 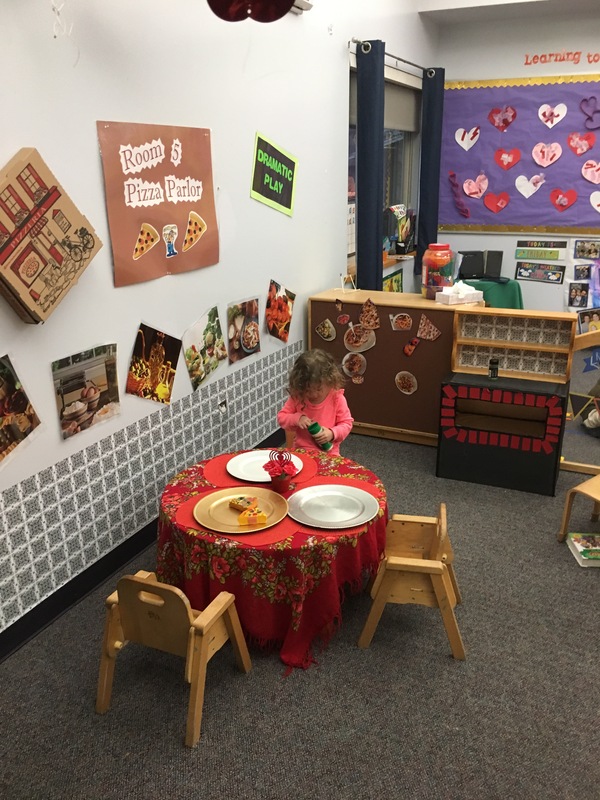 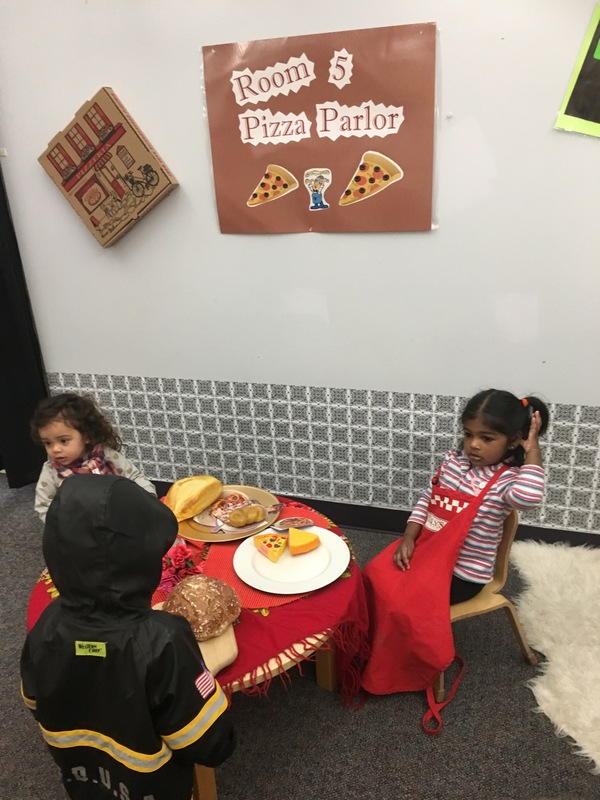 A Pizza Parlor and a Party! 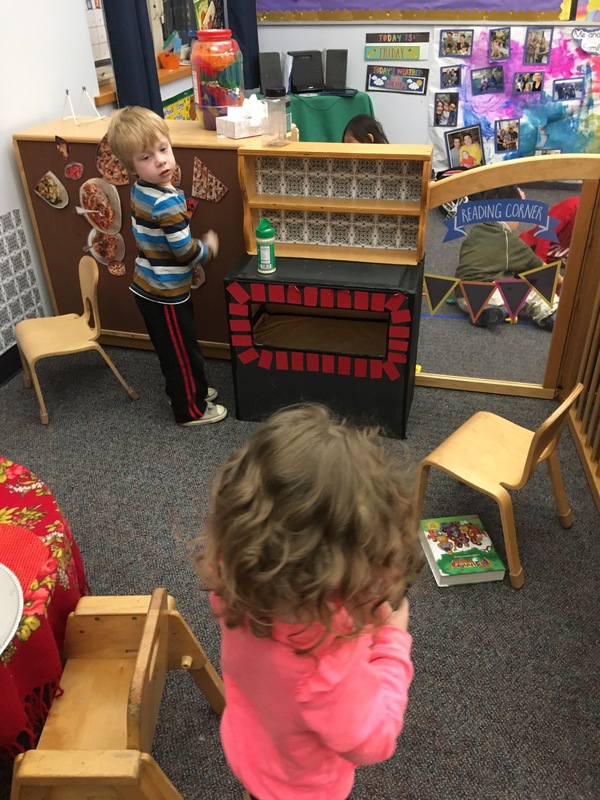 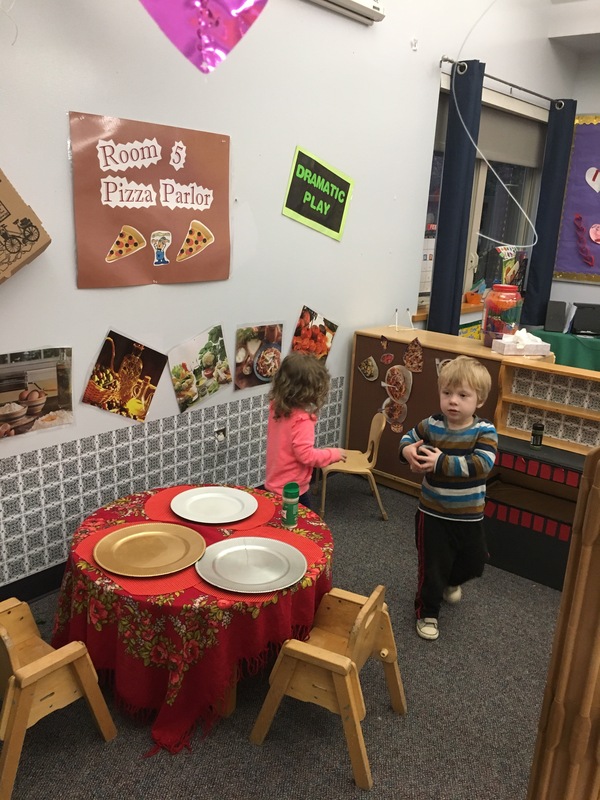 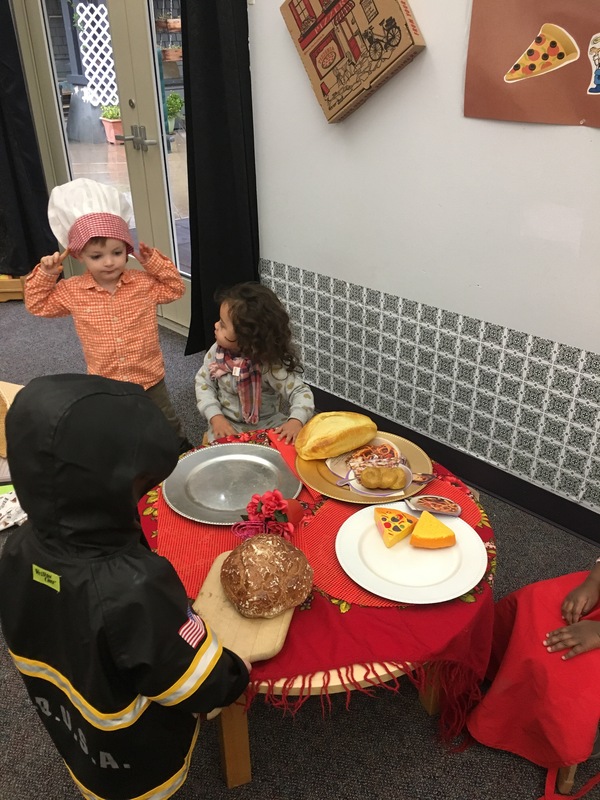 Room 5 is saying goodbye to its dramatic play pizzeria this week. 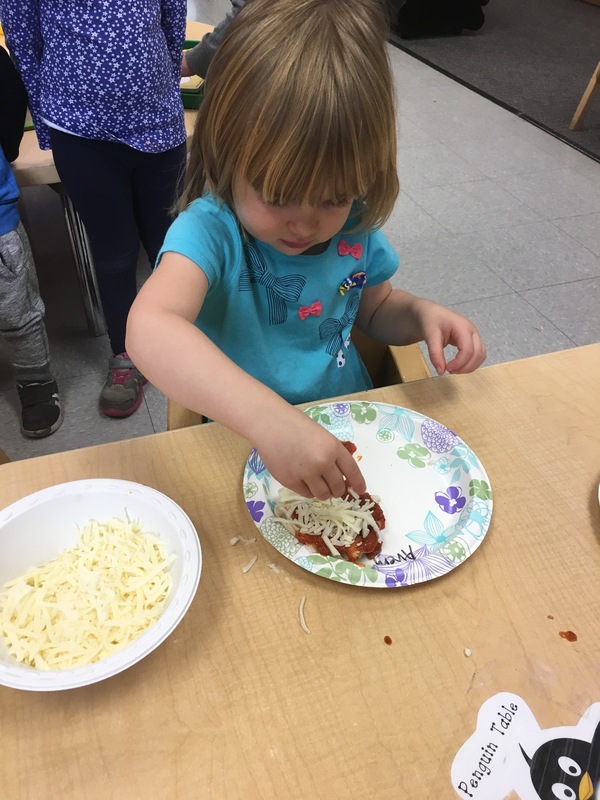 As we wrap up this month and its themes we are also having a great time looking back at what we did and how much we learned! 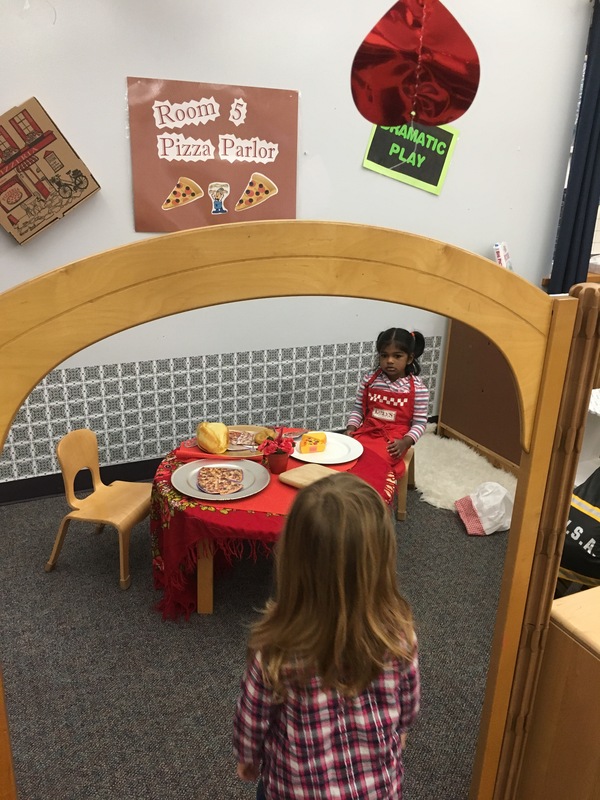 We counted out the pieces of our pizza and used our math skills to set the table. 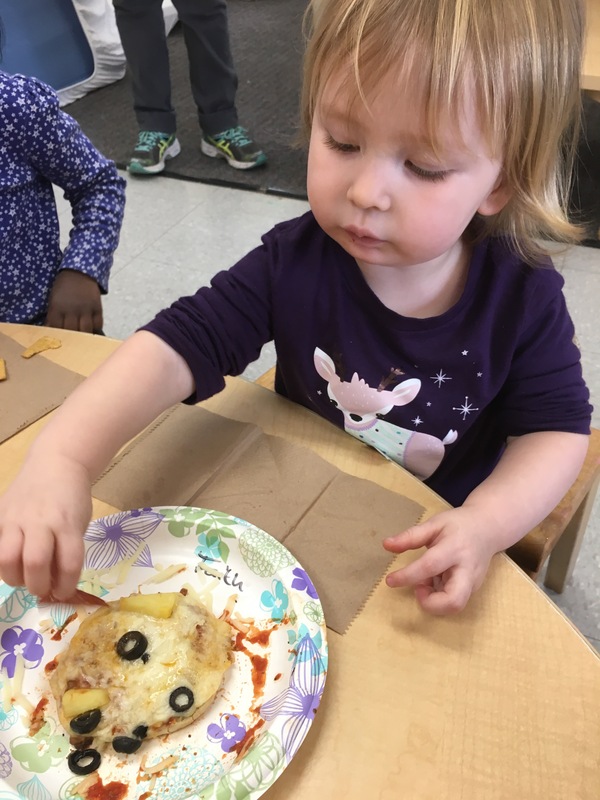 We practiced letter recognition reading our menus as we ordered food at the “restaurant” and learned many new names of different Italian foods like tortellini, bruschetta, and fettuccine! 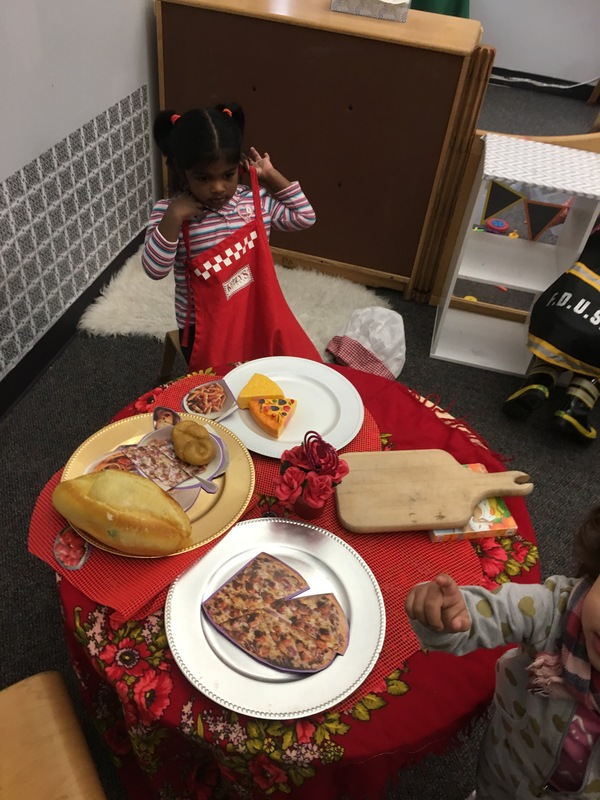 Everyone took turns baking in our “pizza oven” and serving it up hot to their friends. 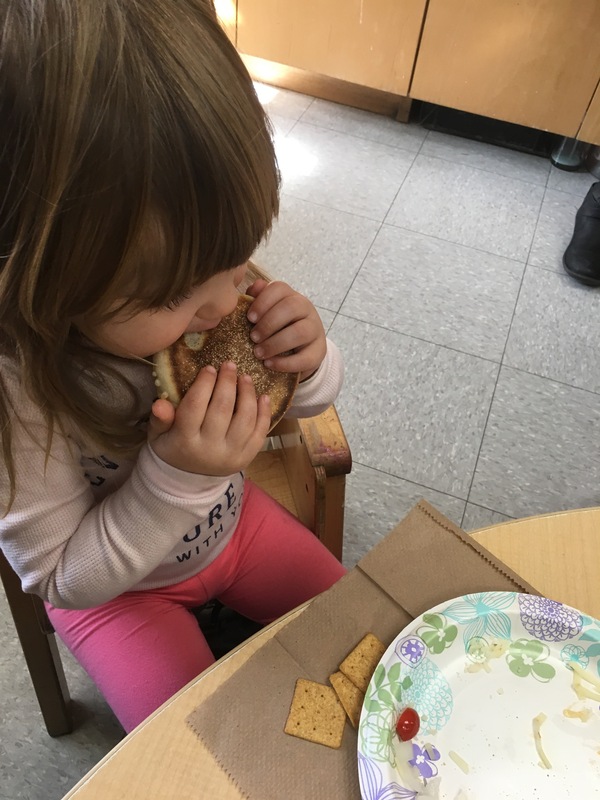 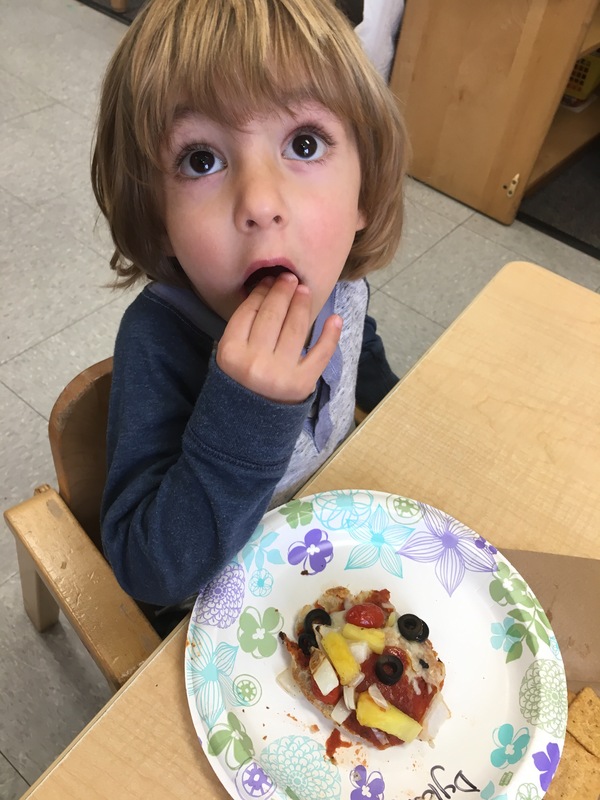 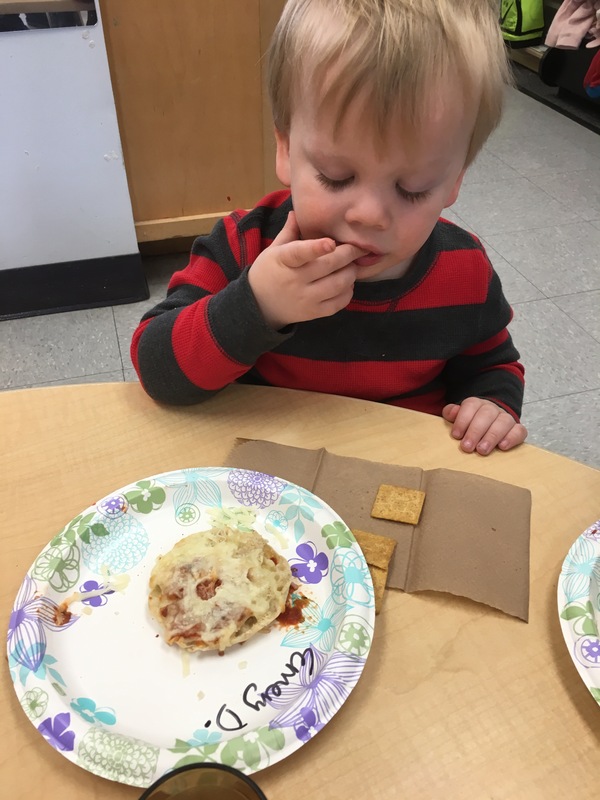 Our enthusiasm took us one step further into a real life cooking lesson when we got to make real personal pizzas in class! 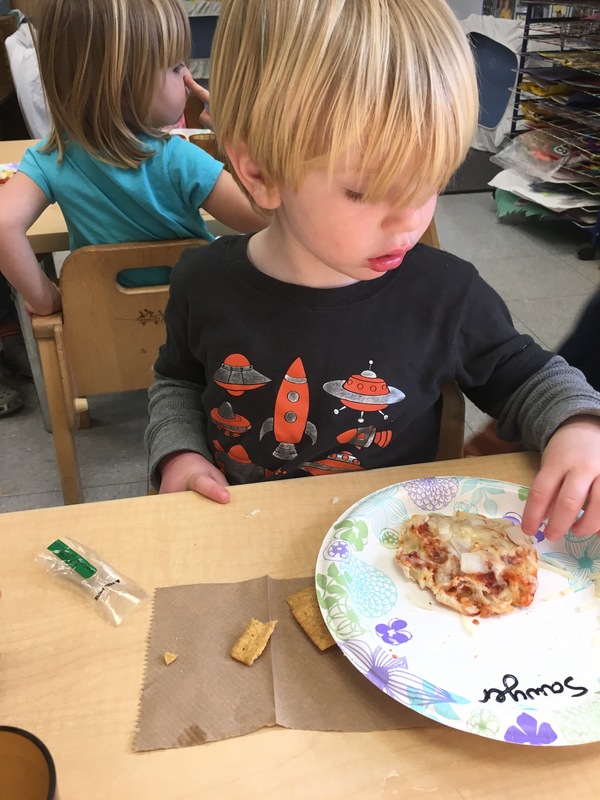 The parents of Room 5 quickly donated our long list of supplies to make sure we had a complete pizza party! 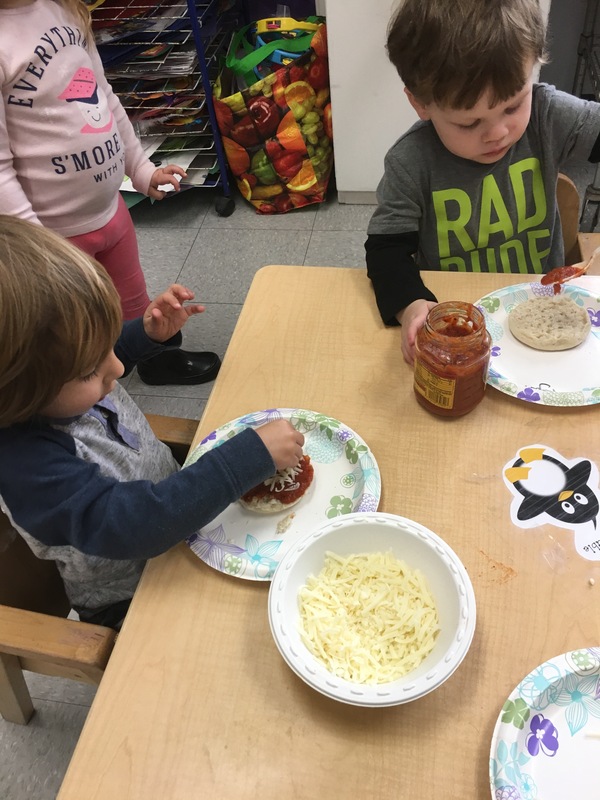 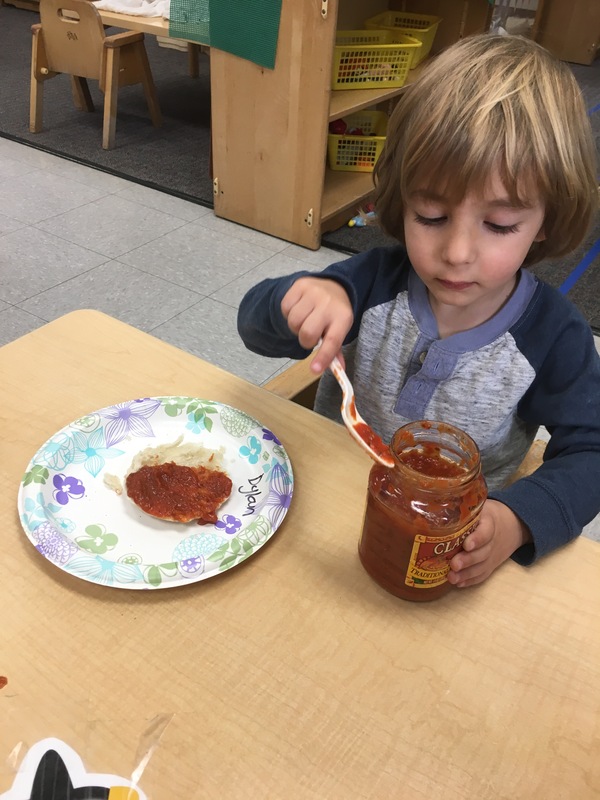 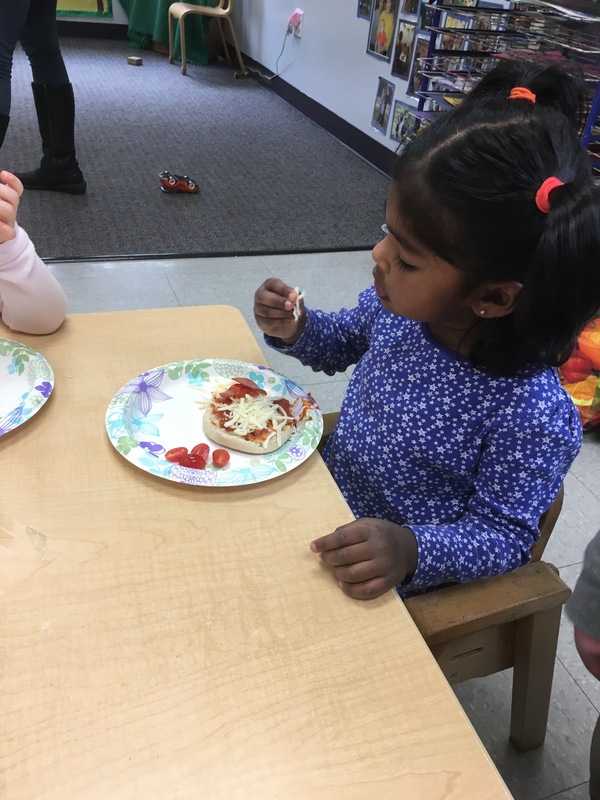 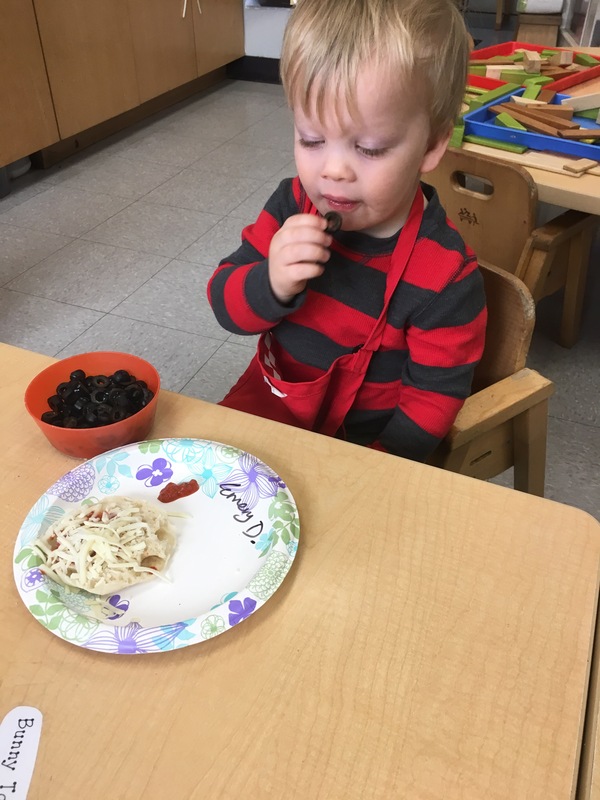 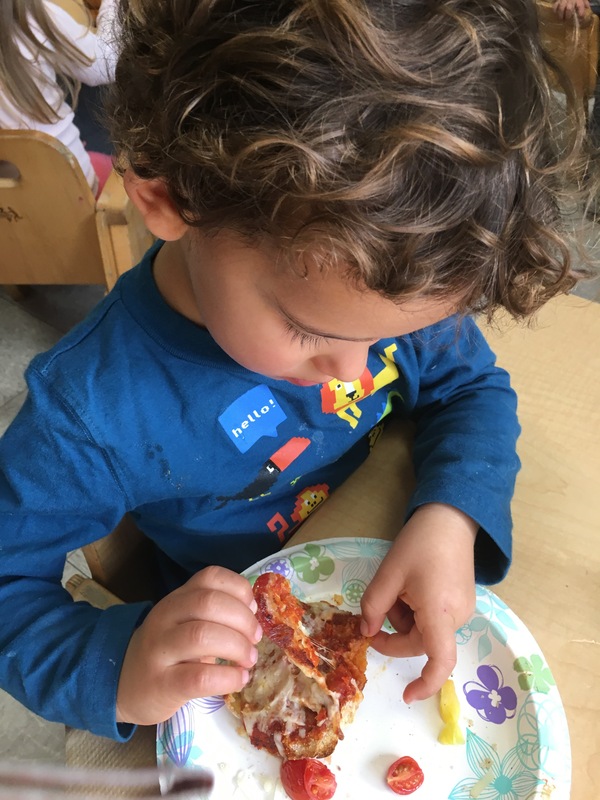 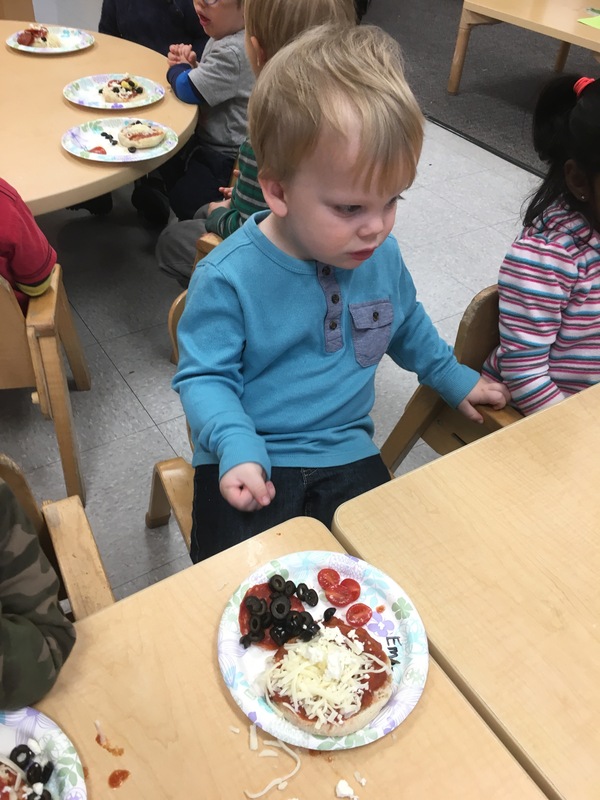 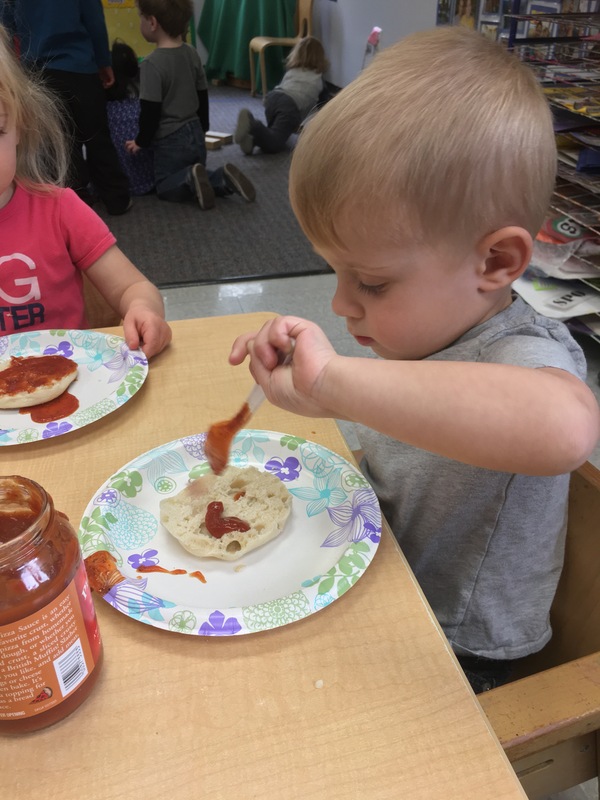 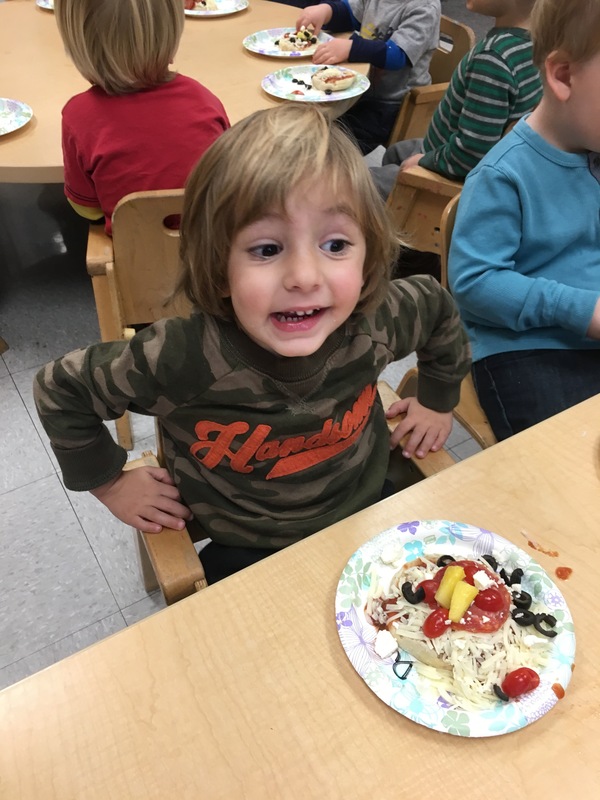 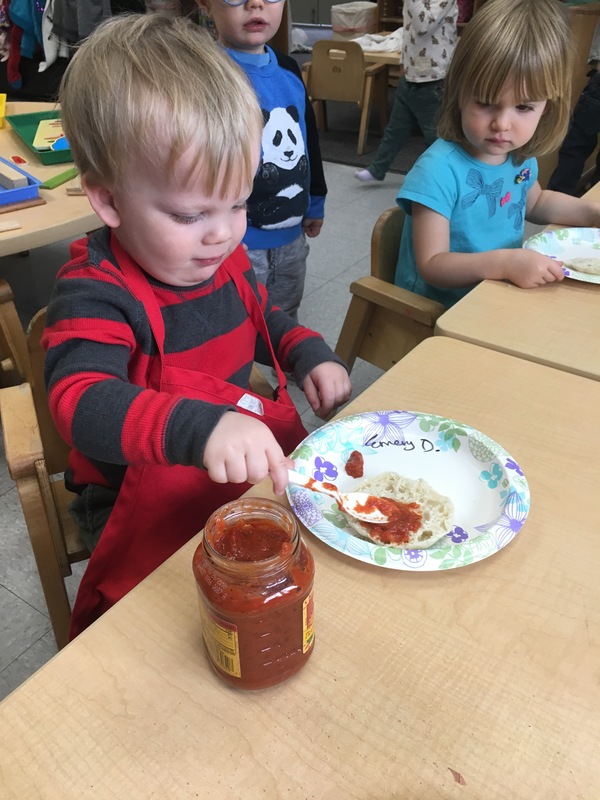 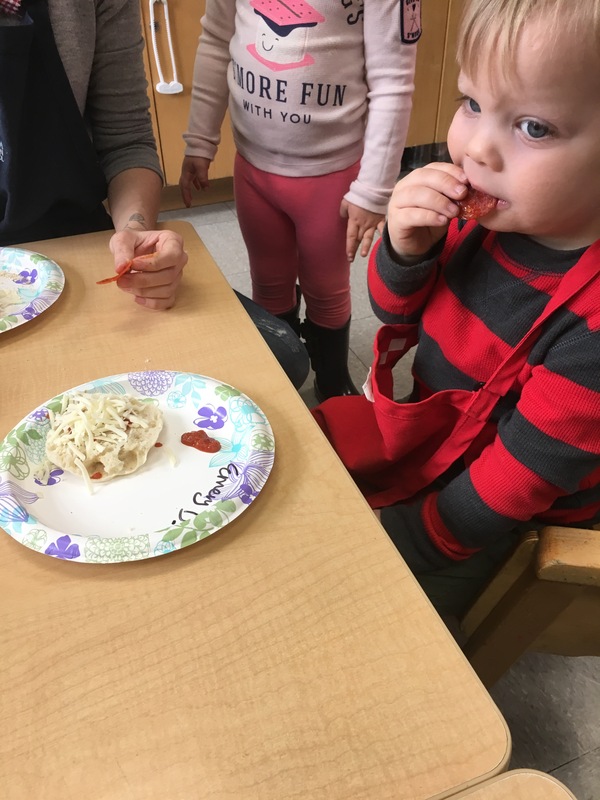 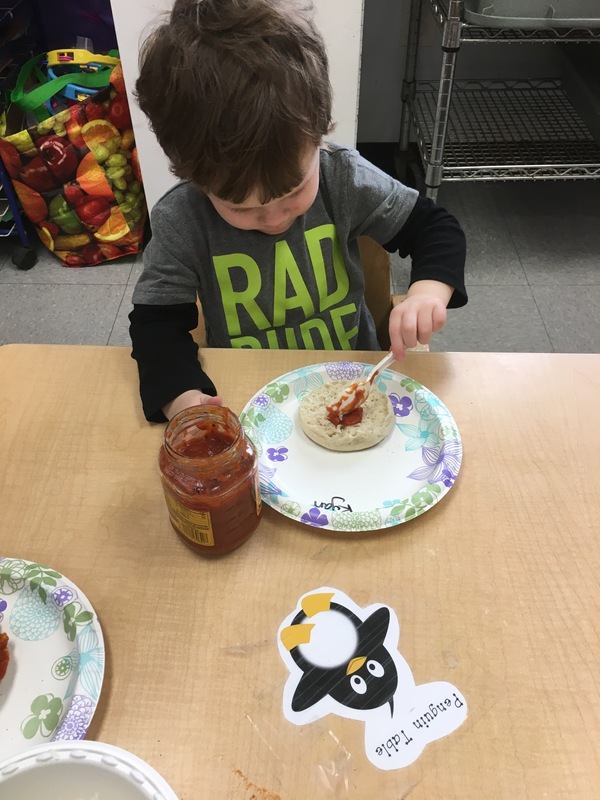 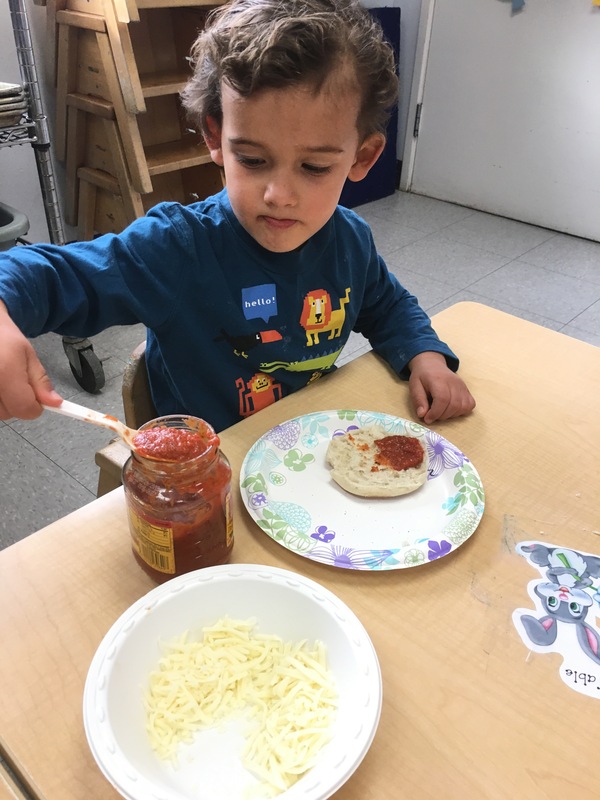 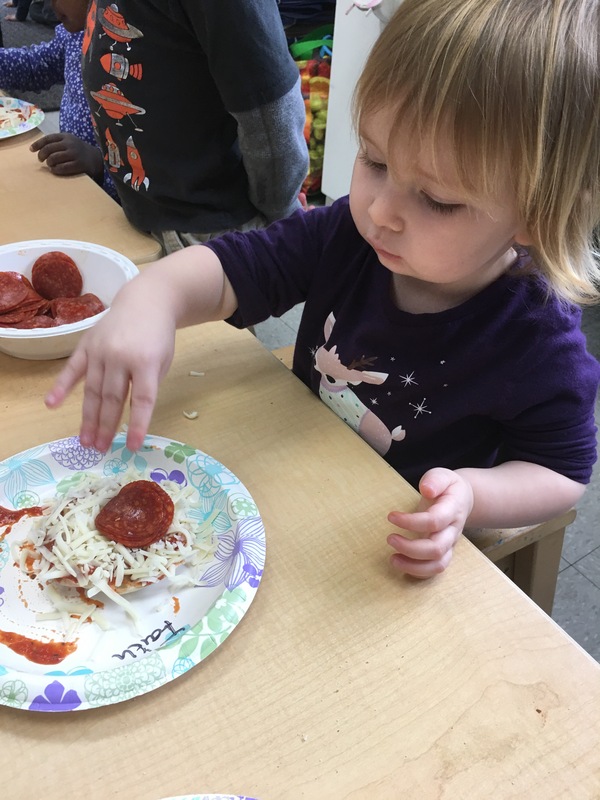 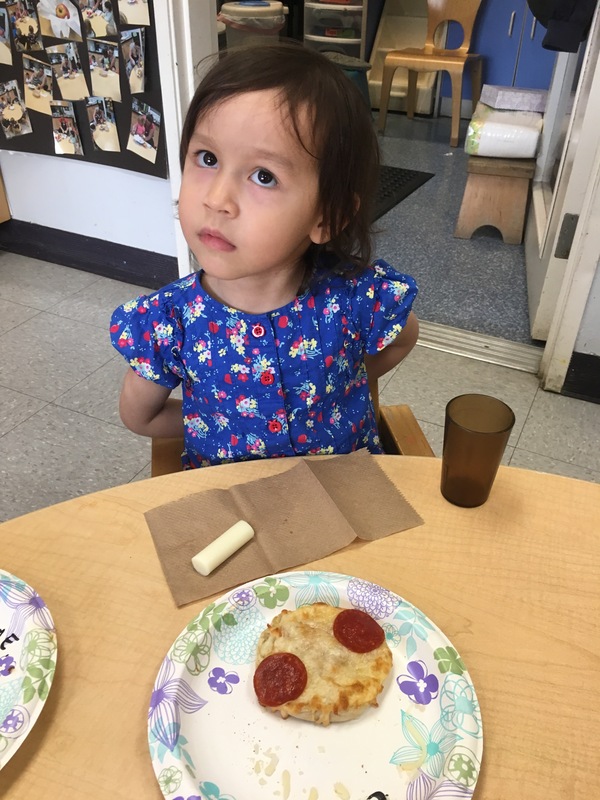 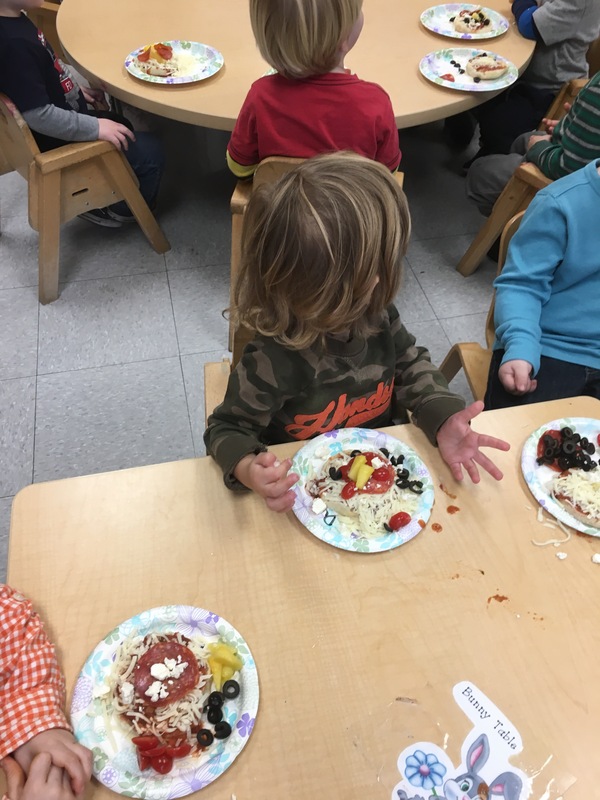 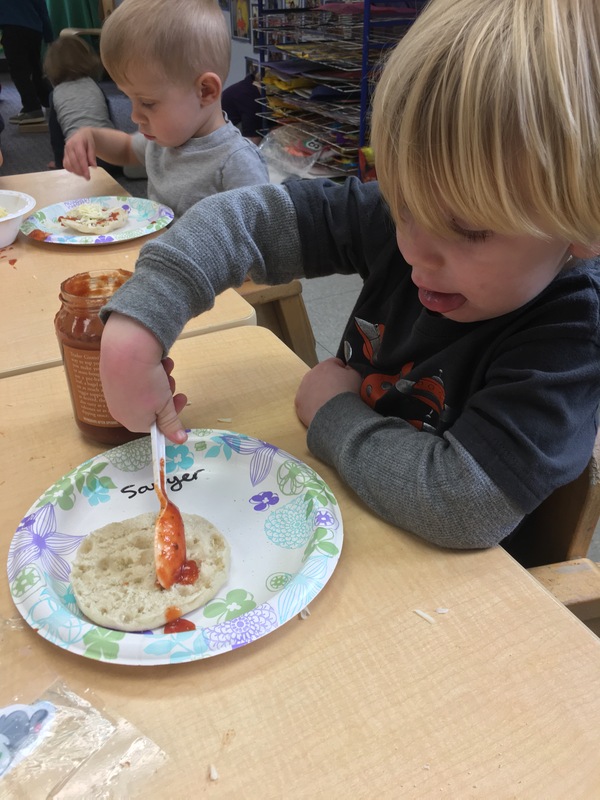 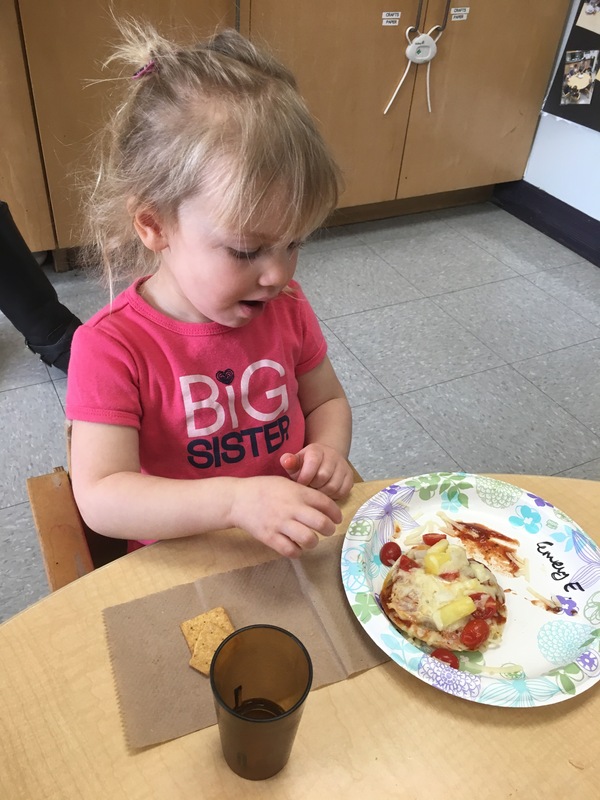 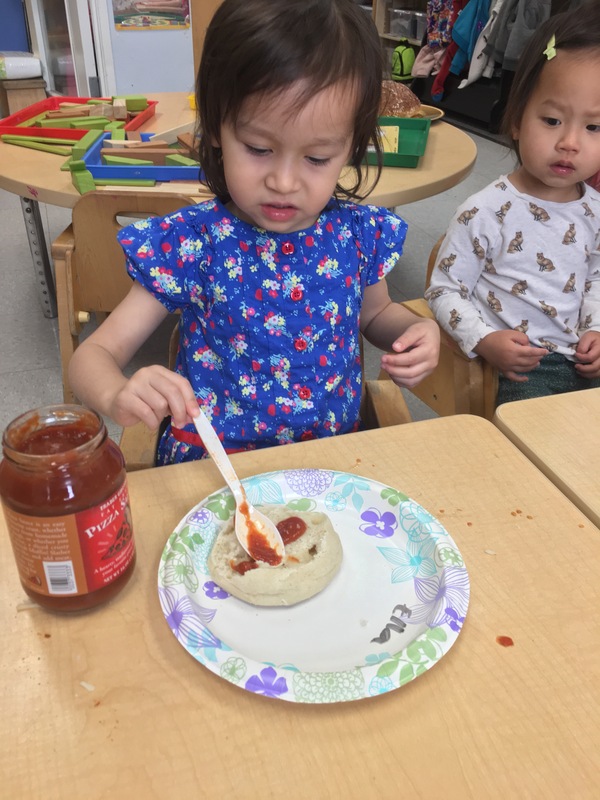 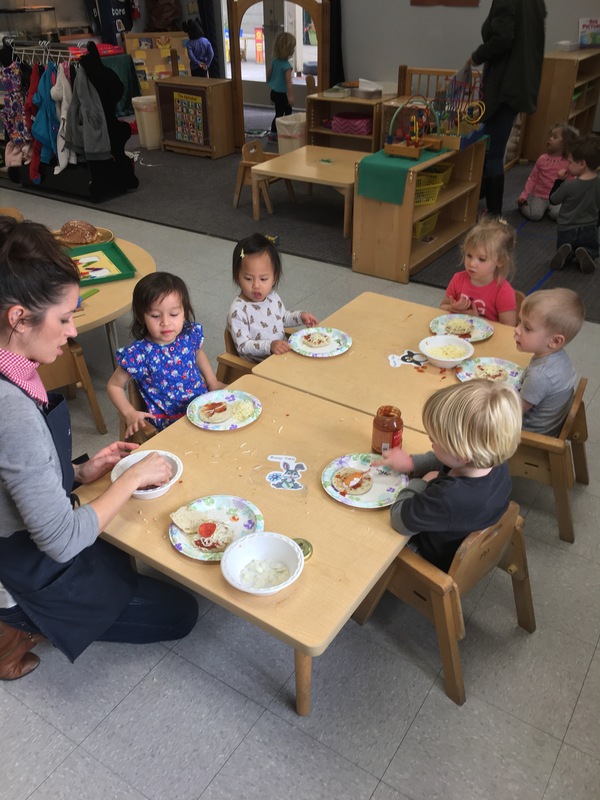 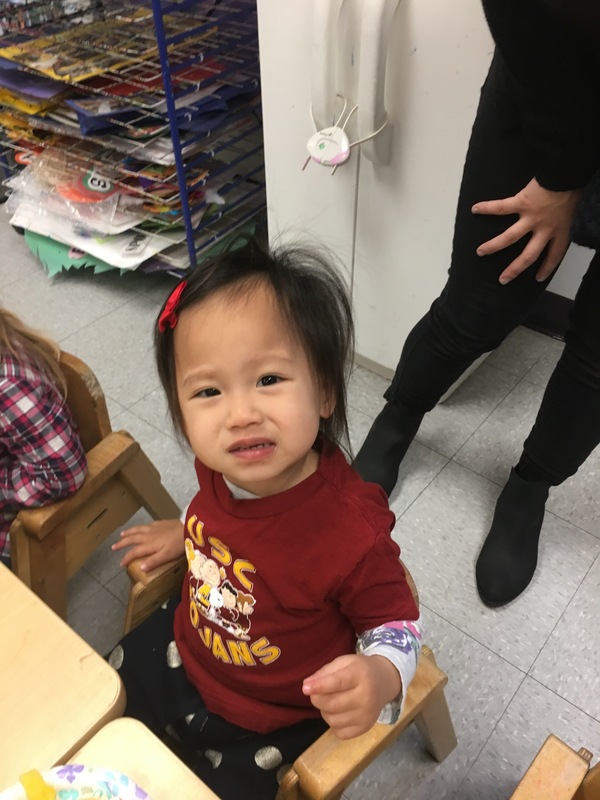 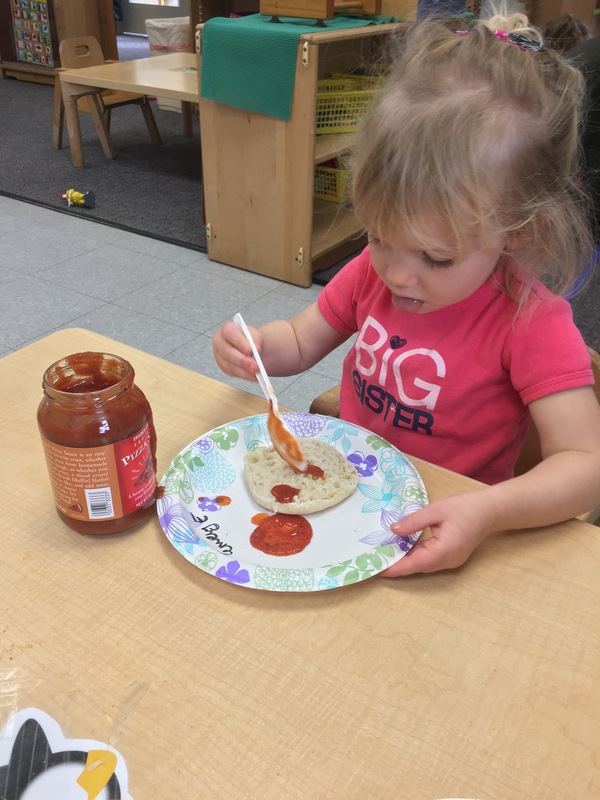 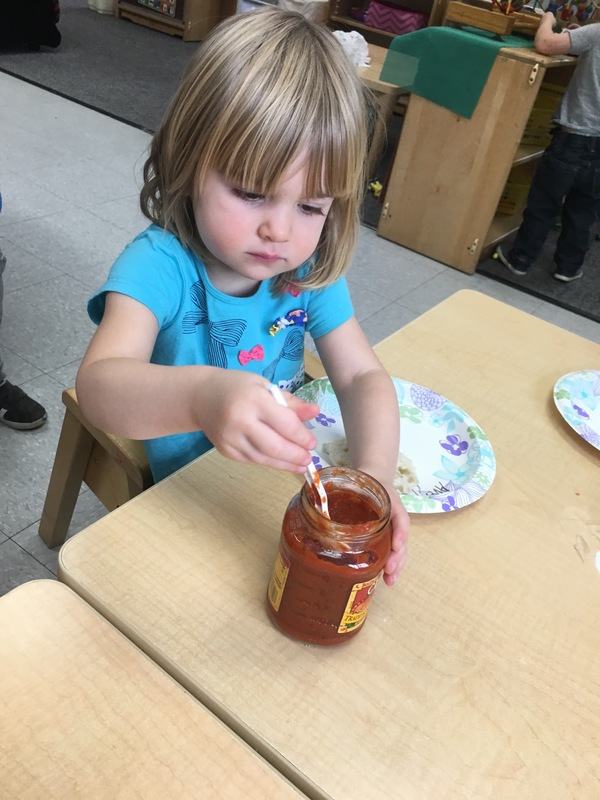 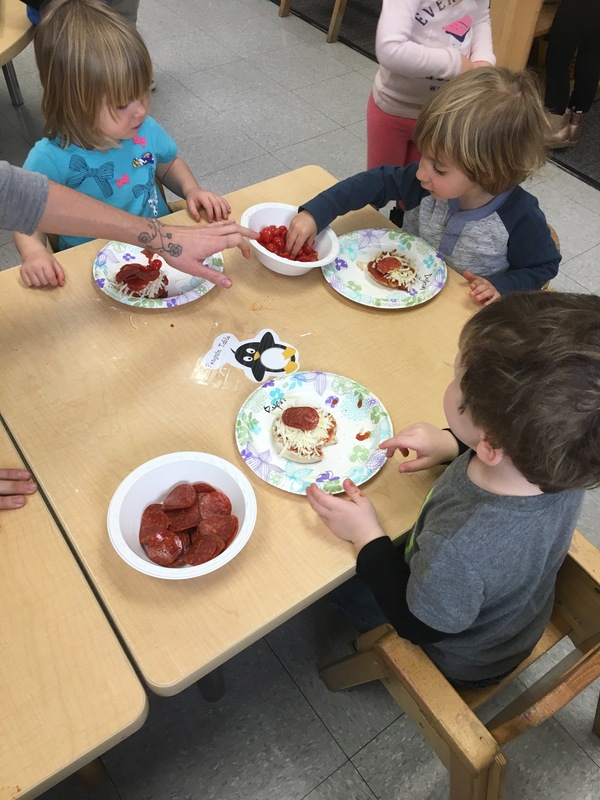 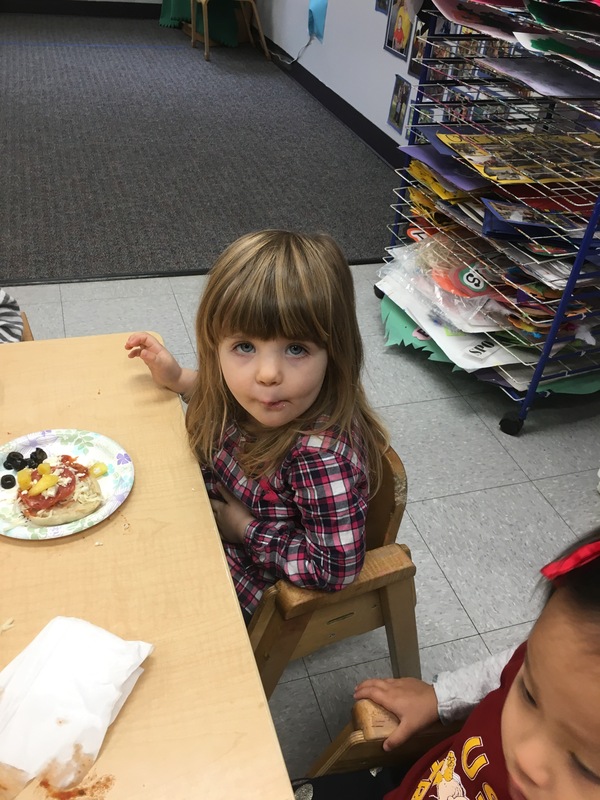 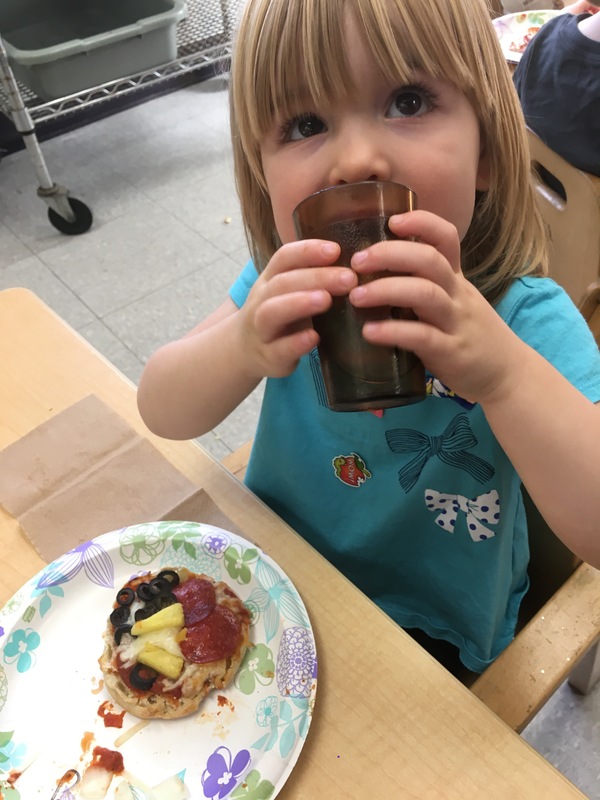 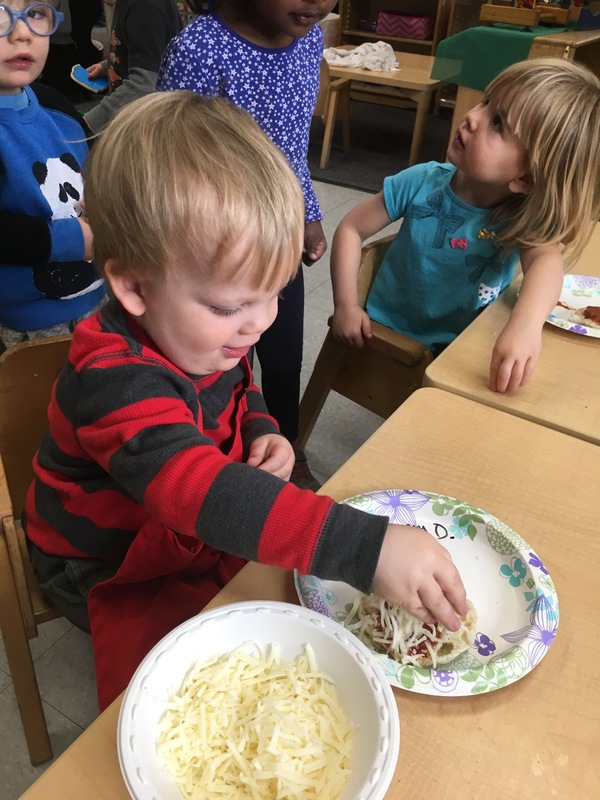 The class had a lot of fun counting their toppings, spreading the sauce, and even watching an old Reading Rainbow episode on how to make pizza! 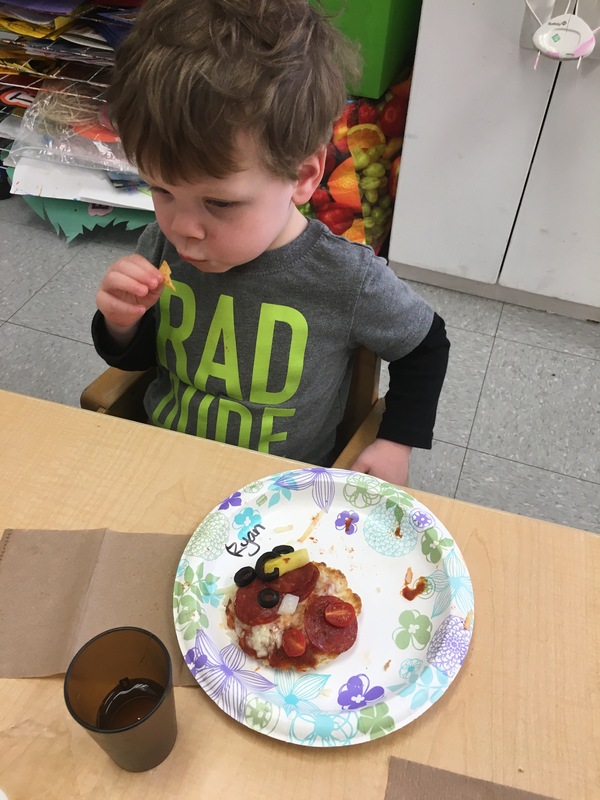 We read many different pizza and Italian themed books like Strega Nona, Barney Bear’s Pizza Shop, and Pete’s a Pizza. 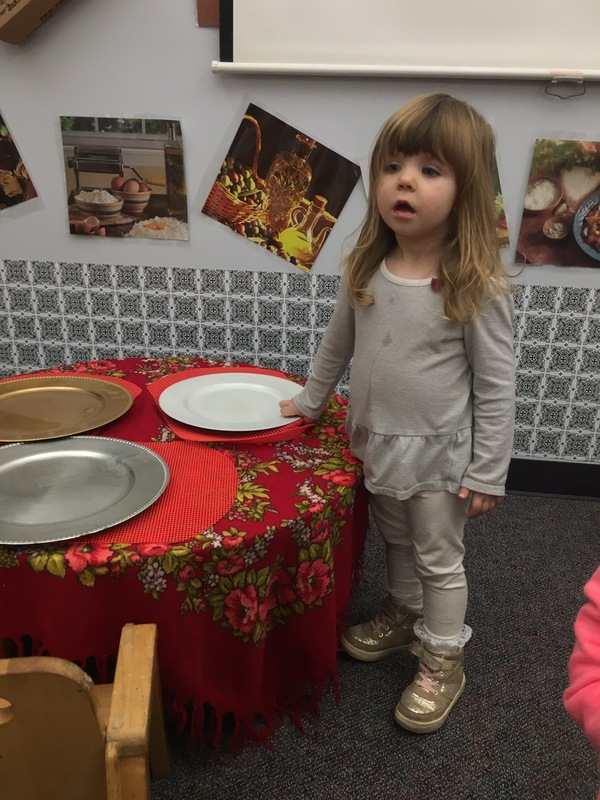 It was a delicious theme and we really appreciate all the parent support in making it such a memorable experience!